Any moment, any day, you can enlighten the darkness in your heart as you tune in to Divine TV. But God’s love is not the light that switches off as you step out of your home. Handpicked, highly selected programmes chosen for their high intensity inspirational content are available right now on the net. 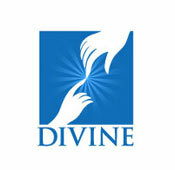 Just click on www.divinetv.in and be transported to your favoured devotional experience. Perhaps you have had a particularly bad day, and are looking for some buoyancy back in your life. Select a preacher, archbishop, bishop, or a world-renowned evangelist the likes of Father Mathew Naikkomparambil, Father George Panackal, or Father Augustine Vallooran, or anyone else listed there. Perhaps you are feeling too low to decide what you want to see. Just use our search engine to seek direction with words like: family, sacrifice, illness, marriage, love, etc. Or may be, you are feeling musically inclined, just tune in to any of the popular, hit (Christian devotional) songs we have listed at the site. May God’s love and fidelity always be your guide, no matter where you are! Don’t forget to click when you are ready.